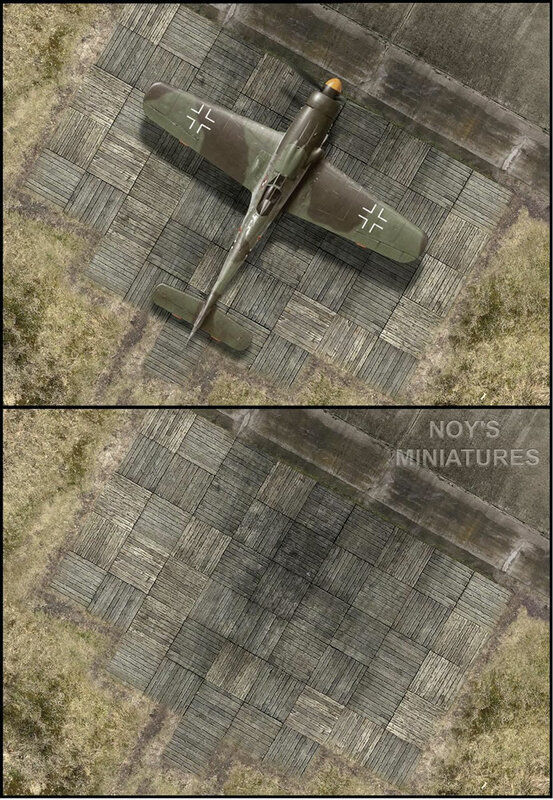 I'm happy to announce a new tarmac sheet from Noy's Miniatures, quality printed on cardstock, for dioramas. 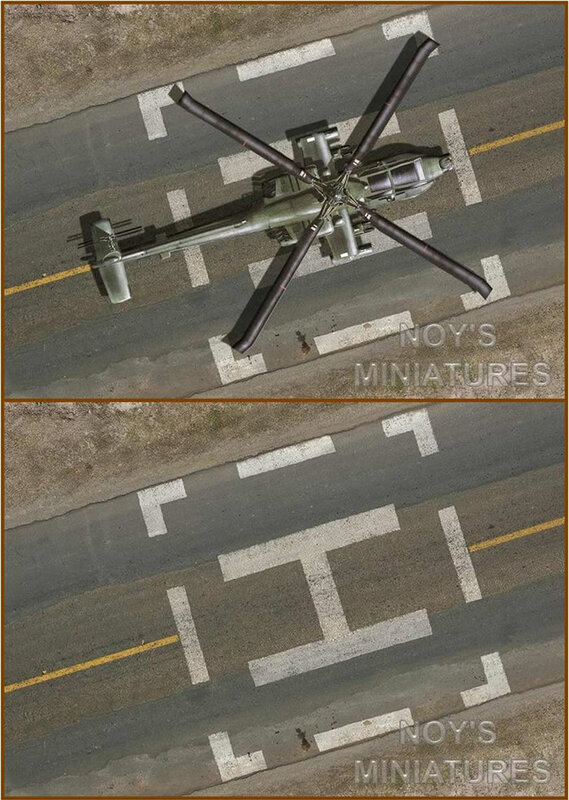 This product – Helipad (military helicopter tarmac) - is offered in 1/144, 1/72, 1/48 & 1/32 scale. Aimed at the military helicopter enthusiast, the new sheet is based on actual reference and will enhance any model of the AH-1, AH-64, Bell Huey family, UH-60 and many others. 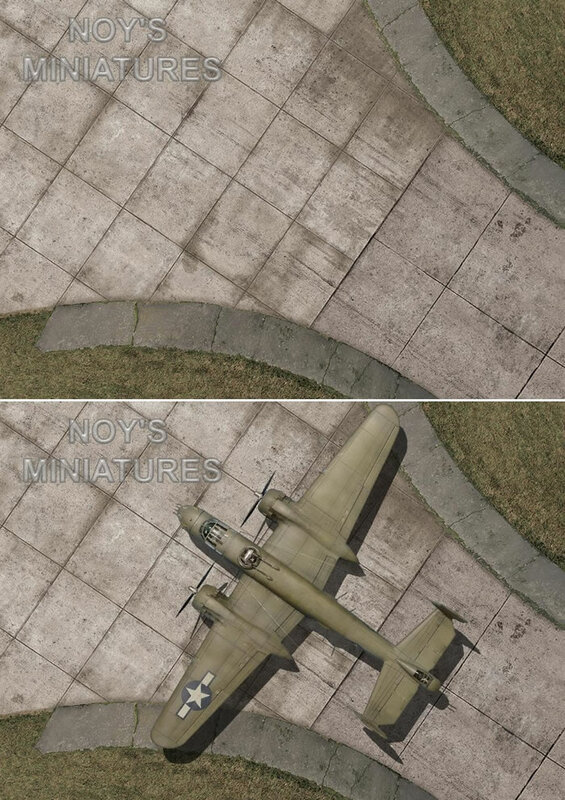 Note that as with other Noy's Miniatures sheets, everything is printed. However real and authentic looking, all effects are 2D. I leave it up to the modeler to add whatever 3D items he, or she, wishes. 1/144 scale: Length: 14.8 cm (5.8 inch); Width: 10.5 cm (4.1 inch). 1/72 scale: Length: 31.1 cm (12.2 inch); Width: 22 cm (8.7 inch). 1/48 scale: Length: 39.6 cm (15.6 inch); Width: 28 cm (11 inch). 1/32 scale: Length: 59.3 cm (23.4 inch); Width: 40 cm (15.8 inch). 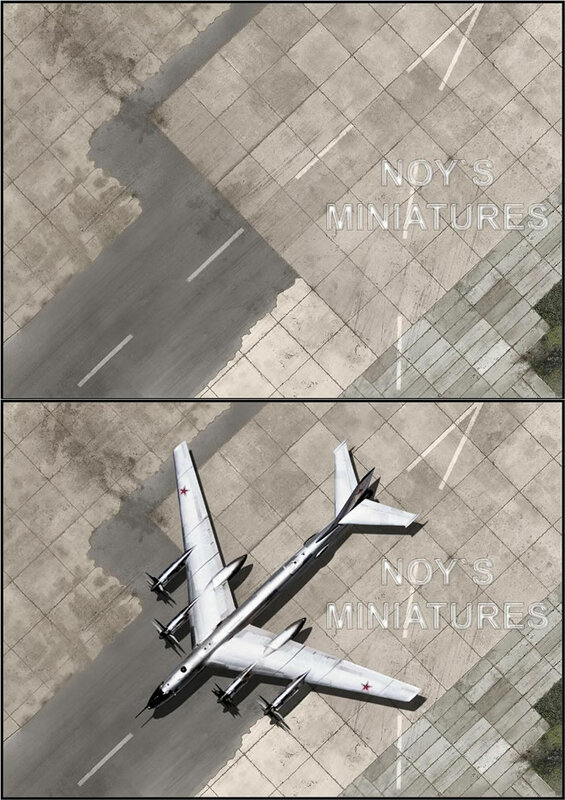 Also recent from Noy's Miniatures are 6 new subjects. 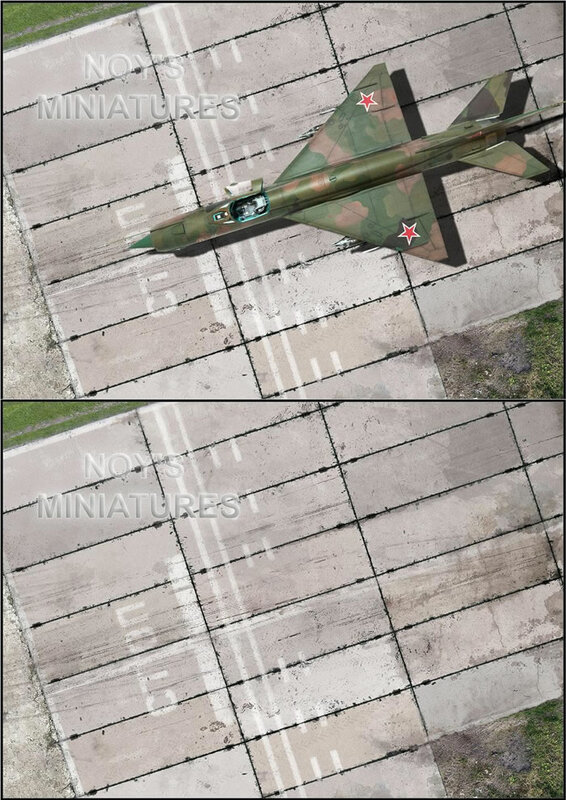 These are a WWII Luftwaffe Hardstand print in 1/144, 1/72 & 1/48; Soviet Bomber print in 1/200; Soviet PAG-14 print in 1/144, 1/72 & 1/48; and WWII Medium Bomber in 1/72.